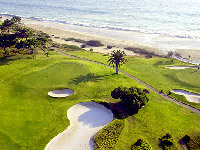 Fantastic prices on the best golf courses in Portugal, Algarve, Lisbon and Porto! We have been around since 1993. We know the market and we can give you the best green fees for Algarve, Lisbon, and Porto so you don't have to look elsewhere! We are here to help you. No more phone calls to agencies located abroad, please visit us in Vilamoura to know what we can do for you! We are proud to bring you a new way of booking your green fees. Try it now! 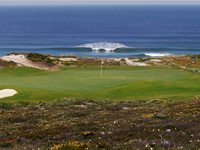 Book Golf Green Fees on Portugal, Algarve, Lisboa and Porto. Find the best deals in golf green fees, golf packages and promotions for the best golf courses in Portugal, Algarve, Lisbon, Porto, Madeira and Azores. Make your reservation now through our online booking system and take advantage of the lowest green fees and package prices we have to offer. There are now over 70 golf courses for you to do your tee times bookings, many of them championship standard designed by world renowned architects. Enjoy superbly maintained golf courses and an exciting cultural night life, great cuisine and the laid-back way of life of the locals. 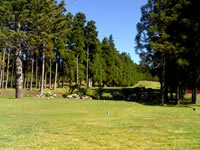 Tee Times Golf Agency is one of the most prestigious portuguese golf travel agencies, being member of IAGTO since 2006. We have 15+ years of solid experience and we are seriously commited to stay your best partner in Portugal offering the best Golf Holidays and Breaks available. We have been nominated for the second year in a row (2014 and 2015) as one of the Best Inbound and Outbound Touristic Golf Operators in Portugal by Worldgolfawards.com. It's your satisfaction that motivates us! "Will Use Your Services Again And Have Recommended You To Many Of My Golfing Friends. Keep Up The Good Work!" Portugal is known worldwide for great weather, lovely sand beaches, a highly cultural life and a fantastic gastronomy. From north to south you can find a great selection of modern golf courses that will surely give you great memories and will make you come back year after year. With 80+ golf courses spread throughout the country, Portuguese greens are a joy to behold, with amazing panoramic landscapes, environmental quality and extremely harmonious features that make Portugal a one of a kind destination for your Golf Holidays. From the most known golf courses in Algarve and Lisbon to hidden gems in Oporto, we guarantee you will have a once in a lifetime experience that will definitely test your skills. One of the best destinations for Golf in Europe, Algarve is now considered one of the best elite products for seasoned, enthusiasts and professional golf players. Several courses were designed by internationally renowned architects, along with the natural beauty and fantastic landscape of the region, make Algarve as a premier destination for golf. The mild climate, with over three hundred days of sunshine a year, allows the golf season to extend for several months, bringing players from all around the world to Algarve. The excellence of Algarve and its naturals locations are perfect for those who wish to paly all year in internationally recognized courses at their extremely high quality facilities. Lisbon - Enjoy a flamboyant cultural life, gastronomy and high quality golf courses. Being the second main region for Golf in Portugal, Lisbon offers fantastic Golf courses and top quality international infrastructures designed for all sorts of golf practitioners. With all courses located within 1 hour distance from the centre of Lisbon, the players can enjoy amazing landscapes painted with the Atlantic ocean and Mountains on the backdrop. The International Association for Golf Tour Operators awarded the Lisbon Coast the "Best European Golf Destination" distinction in 2006 due to the number of world-class courses designed by the world's most renowned golf architects such as Robert Trent Jones, Rocky Roquemore, Donald Steel and Frank Pennink.